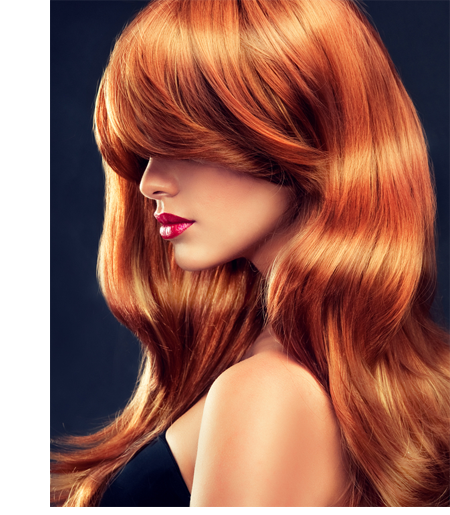 As any professional stylist will tell you, hair color and highlights require a little extra care in order to stay gorgeous, lustrous and vibrant. If you’ve just left the salon with the absolute perfect color, you’ll need to protect your new hue by taking some extra steps to fight against hair color’s three mortal enemies—frequent shampooing, thermal styling, and UV exposure. Here are our best tips for keeping your hair color from pre-maturely fading and losing it’s shine and intensity. Whether you’re a sultry mocha brunette, an icy platinum blonde or a vibrant strawberry blonde, you’ll get lots more mileage from your new shade with the right hair care products. Don’t shorten the lifespan of your color by opting for low quality shampoos and conditioners from the supermarket shelf. Instead, reach for a color-safe shampoo and styling collection. Color safe shampoos, conditioners and styling products are formulated specifically for color-treated hair and contain a special blend of ingredients that offer gentle cleansing and moisture balance while also adding UV protection, strength, and shine. One of our favorite color-safe hair care lines at The Retreat is Keune’s Color Brillianz Collection. Color Brillianz products are infused with ingredients that give your hair a broad-spectrum of UVA and UVB protection from the sun. The products also contain Sun Flower Seed extract that protects dyed hair from color loss by neutralizing free oxidative radicals. As a bonus, Silk Proteins leave your hair silky, smooth and shiny. With that kind of winning combination, your locks are in excellent hands, and your color will stay fresh and vibrant longer. With shampoo & hair color, less is definitely more! 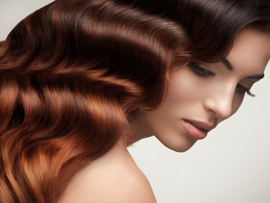 Your hair color can last twice as long if you shampoo every other day instead of daily. On the off days, opt for a dry shampoo. A dry shampoo can be applied to the roots and scalp area in a matter of seconds, and the product will absorb extra oil while leaving your hair smelling fresh and clean. Do you love the impact of ombre? We do, too! Our stylists are highly skilled at this technique and there are so many variations. Having an "Oops! What have I done" moment? Never fear. Our expert colorists can help if you've had a hair color mishap elsewhere.